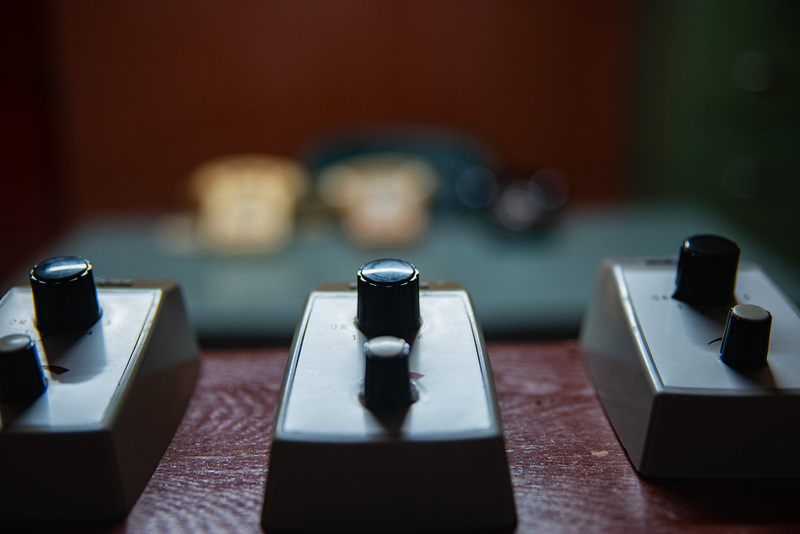 If you’re looking to entertain your kids with a bit of weird, underground history, a trip to Vietnam‘s Independence Palace (or Reunification Palace as it is now known) should be on your list. 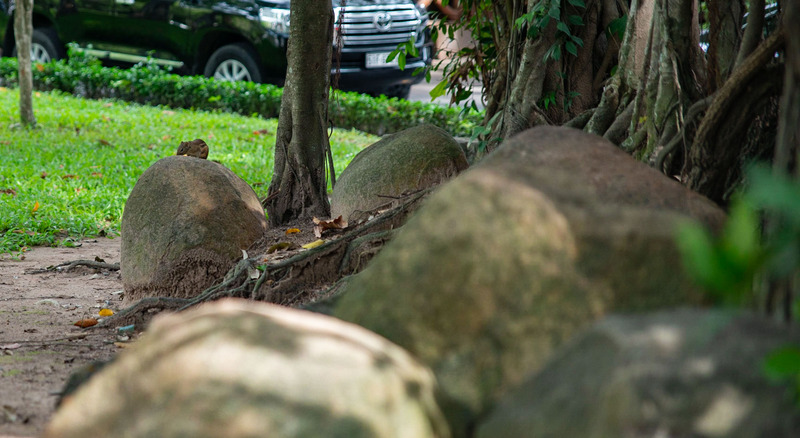 Surrounded by beautiful laid lawn and hanging tropical trees, this memory of Vietnam’s past is perfect for escaping the heat and learning about its history. 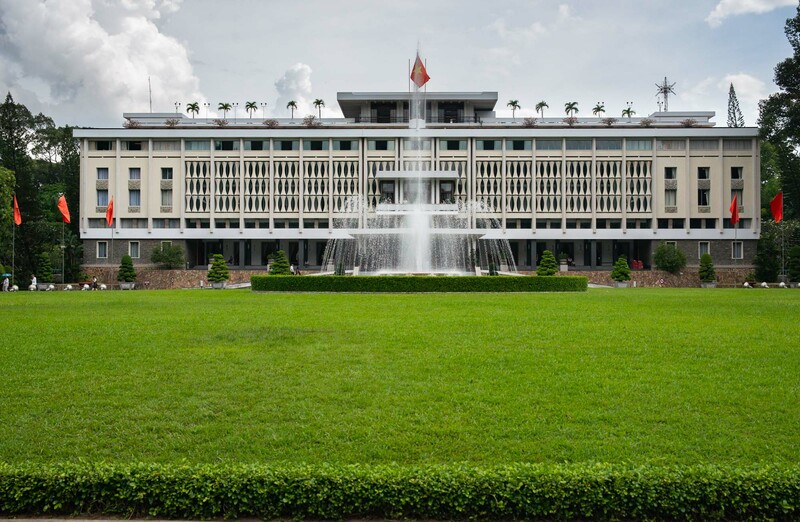 3 A new Independence Palace? 8 Which room is the most fun? 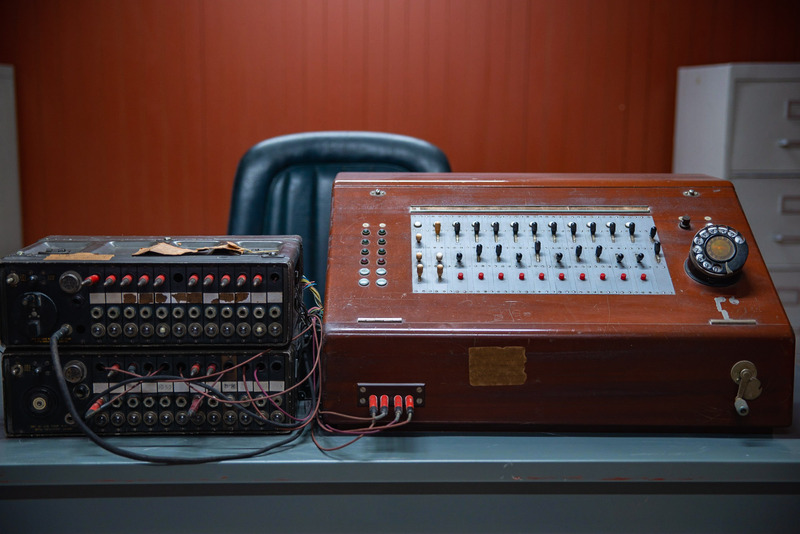 In order to understand the significance of this building, you need to know a little bit about its turbulent history and subsequent creation. In 1858, France invaded Vietnam by bombing Đà Nẵng. By 1867, France had completed its conquest of southern Vietnam and the French Governor installed, Pierre-Paul La Grandiere, started building a Palace. Once created, the Governor’s Palace was named Norodom Palace (after the King of Cambodia) and was used between 1887 and 1945 until Japan defeated France in a coup. Norodom Palace became the headquarters of Japanese officials between March and September 1945 until Japan surrendered to the Allied forces (World War II). 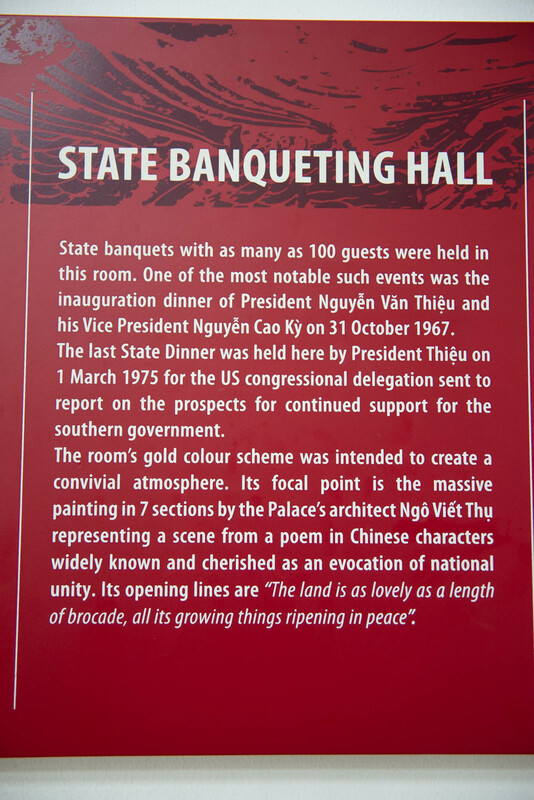 France returned to Vietnam and Norodom Palace was restored as the office of French colonists. It wasn’t until 1954 that France surrendered to the Việt Minh and agreed to sign the Geneva Accords, withdrawing its troops from Vietnam. 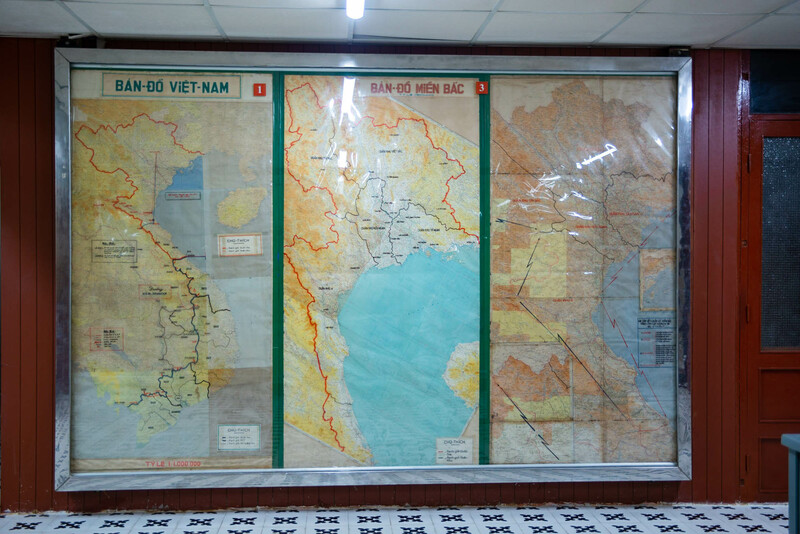 Vietnam was divided into two; North Vietnam under the control of the Việt Minh communists; South Vietnam under the anti-communist State of Vietnam. Norodom Palace was handed over to the prime minister of the State of Vietnam. 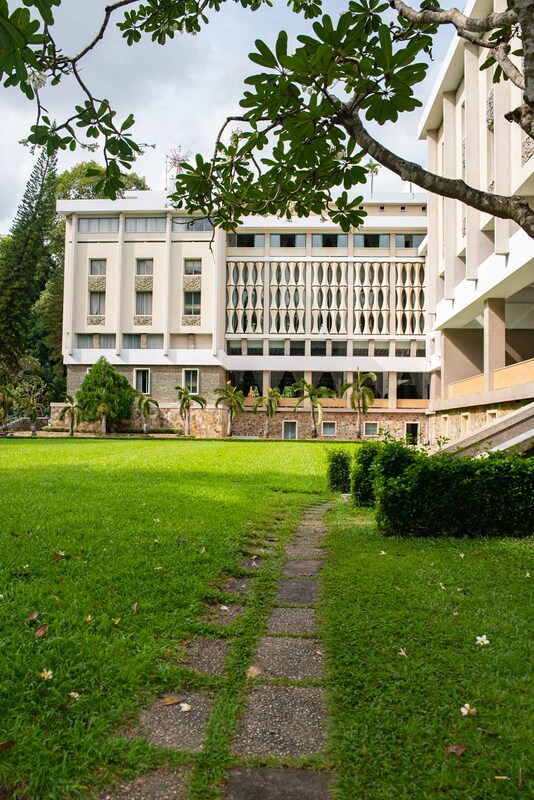 In 1955, the north won a referendum and created the Republic of Vietnam and re-named the building the Independence Palace. Fast-forward to the Vietnamese War & 1962 and instead of going on a raid against the Việt Cộng, two Vietnam Air Force pilots rebelled and flew two A-1 Skyraider aircrafts towards the palace and bombed it. As a result, almost the entire left wing was destroyed. As it was almost impossible to restore the palace, it was ordered to be demolished and a new palace was commissioned in its place. 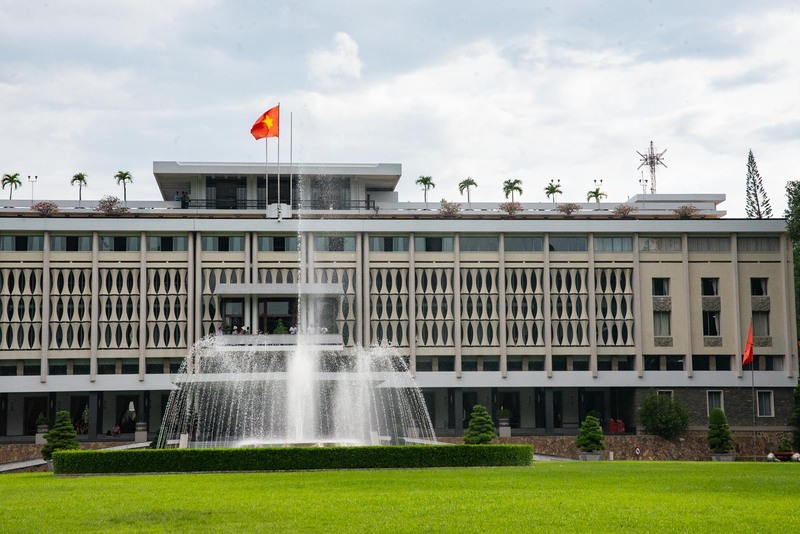 The construction of the new Palace started in 1962 but the completed palace was only inaugurated on 31st October 1966 where it served until 1975 when its leader, Thieu, fled the country as communist North Vietnamese forces swept southwards in the decisive Ho Chi Minh Campaign. 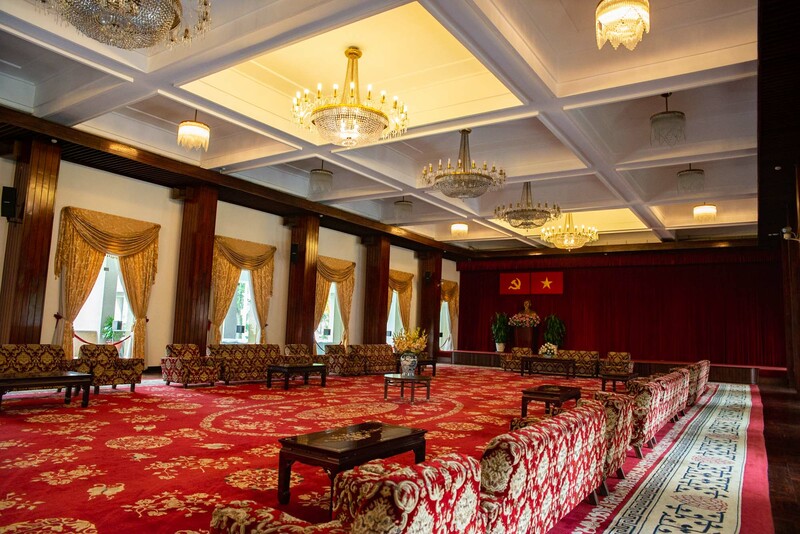 At 10:45 on 30 April 1975, a tank of the North Vietnamese army bulldozed through the main gate of the Palace, ending the Vietnam War and the Palace was renamed the Reunification Hall (Hội trường Thống Nhất). So, have you understood all that? 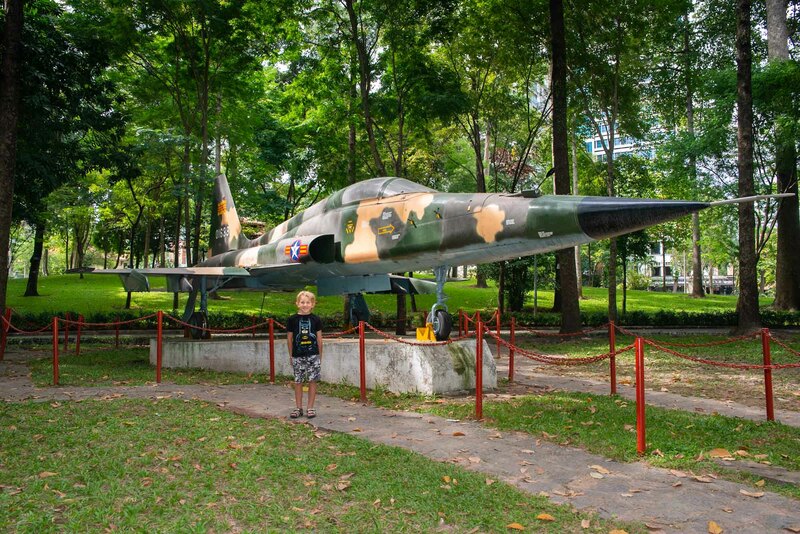 Yes, it’s a bit of a drama and a long winded history but it’s very important in understanding how Vietnam rose from being occupied a number of times by a number of different countries and forces. 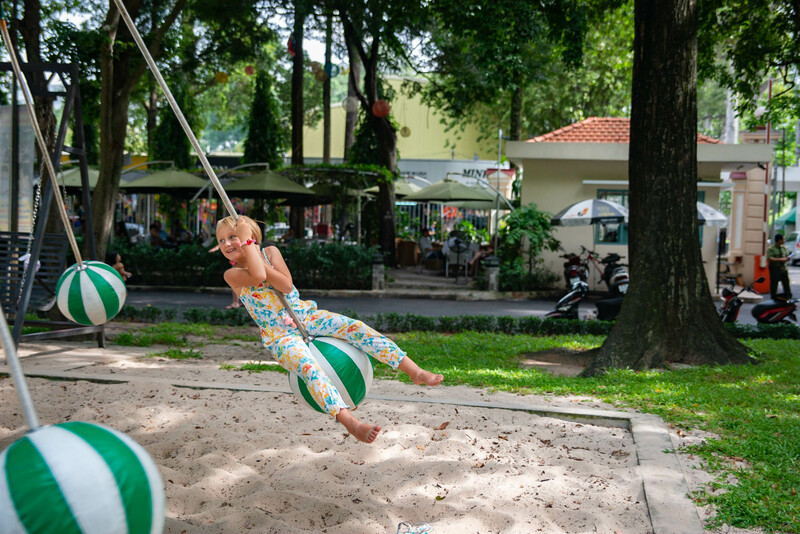 You may have noticed that Vietnamese language does not use characters but instead a latin based alphabet. This is due to French colonialism. You’ll also learn that the Vietnamese refer to their latest war as ‘The American War’. 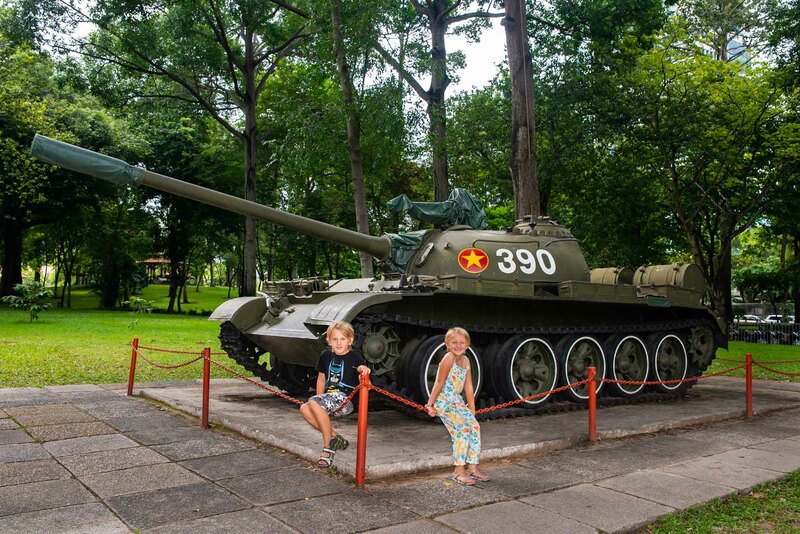 A tank used during the Vietnam War is on display in the gardens, sadly it’s not the one that crashed through the gates, and there’s also a fighter plane there too. 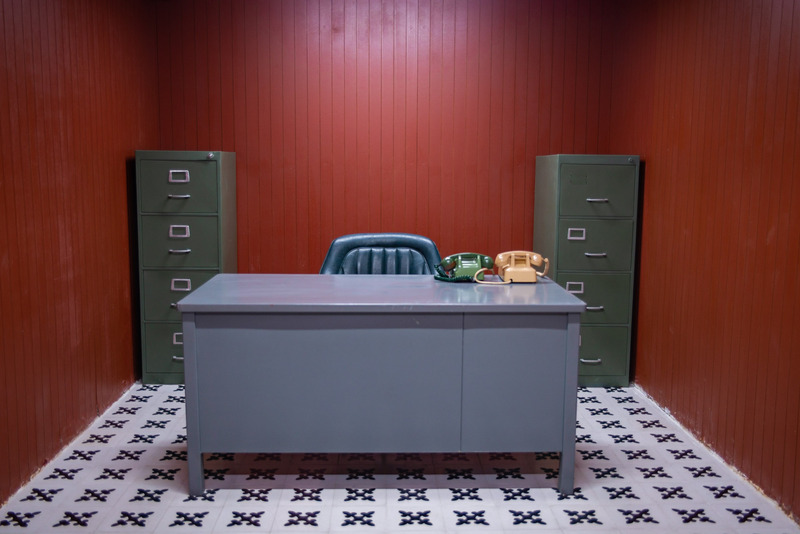 The Reunification Palace is built over five levels and is an outstanding example of 1960s architecture with its kitsch detail furniture still intact. The ground floor is arranged with meeting rooms, while upstairs is a grand set of reception rooms used for welcoming foreign dignitaries. Complete with a cheesy circular-leather banquette, a barrel-shaped bar, hubcap light fixtures and three-legged chairs set around a flared-legged card table. This won’t be of particular interest to your kids but it’s funny to look back at the wide, flat furniture and see just how cringeworthy and dated it all seems now. Austin Powers eat your heart out. 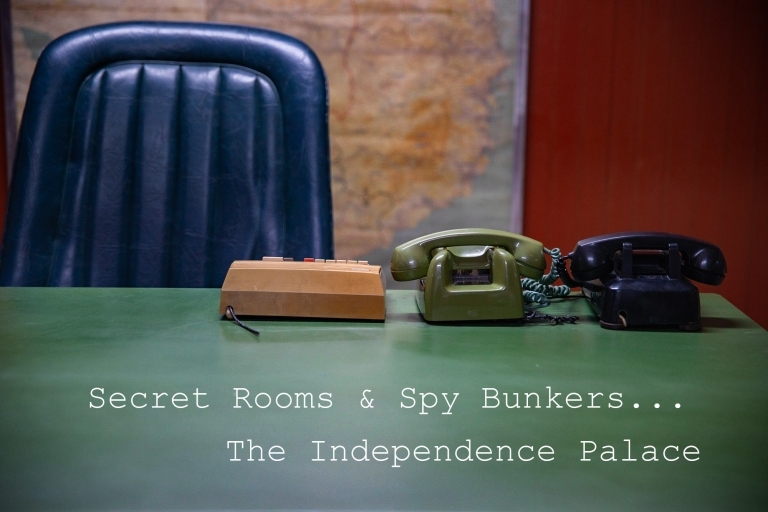 In the back of the building are the president’s living quarters where you can check out the model boats, horse tails and severed elephants’ feet whilst the basement features tunnels, a war room, kitchens and telecommunications centre. Every room has large, easy to read signs that kids can understand. 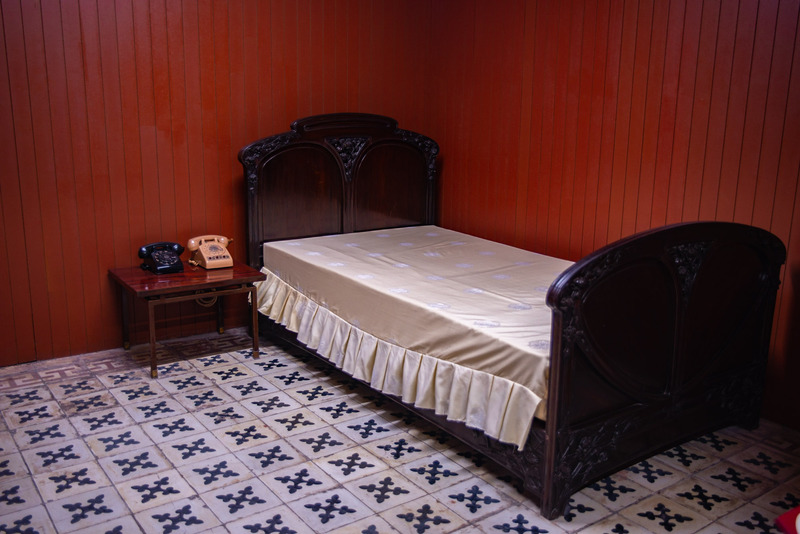 Most are a description of the room and its purpose. Which room is the most fun? 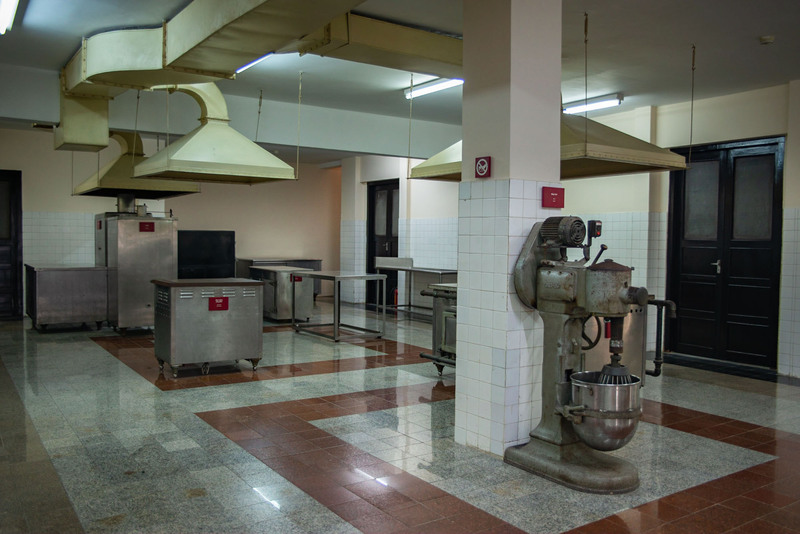 The Banqueting Hall is gold and the Conference Hall is red… but for me, I really loved the kitchens. 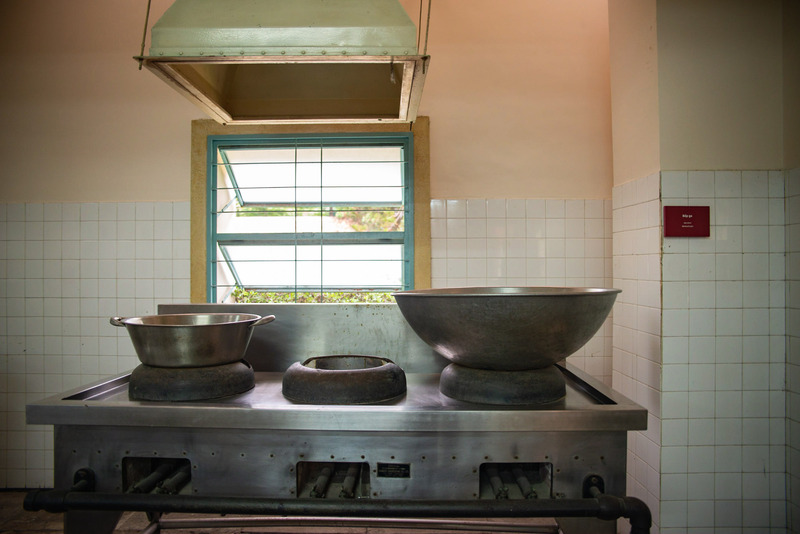 I expect Palace’s to be big and the function rooms are, but the kitchens are just as big and the old, metal equipment that has been left there doesn’t seem to have aged in comparison. 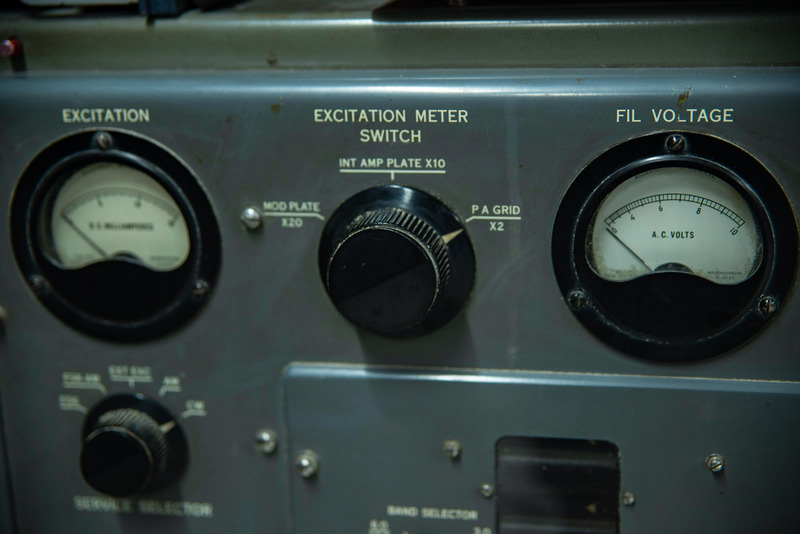 I may have also had equipment envy! Check out the enormous mixer. 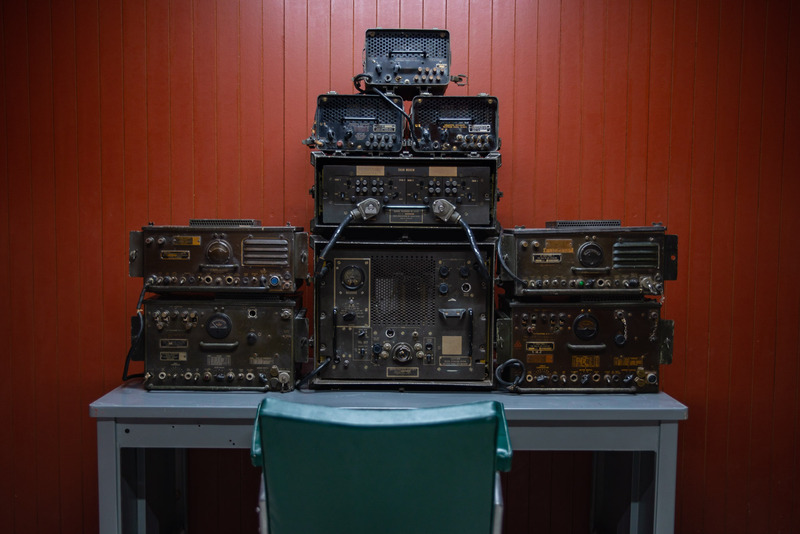 Most fascinating of all the building is the basement with its telecommunications centre, war room and warren of underground tunnels. The war command room has original maps on its walls, hulking fans loom, archaic telecommunications equipment sits on desk and war propaganda materials hang from the walls. Can you image being so dedicated to the cause that you set up a bed next to your office, 2.5m underground? I can’t! 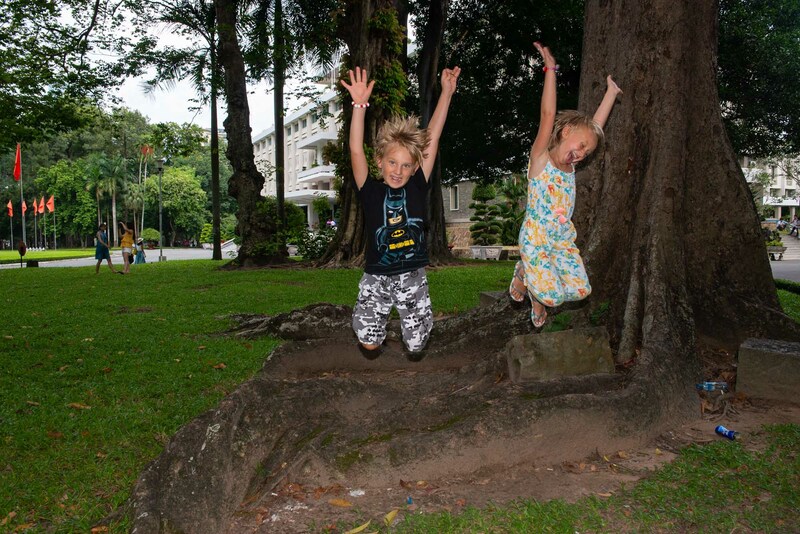 Huge trees adjourn the green lawns laid around the palace and there’s even a playpark to the back along with some furry creatures that look a bit like squirrels. The palace is on Man Ky Khoi Nghia Street. Opening hours: 07:30-12:00 & 13:00-16:00. 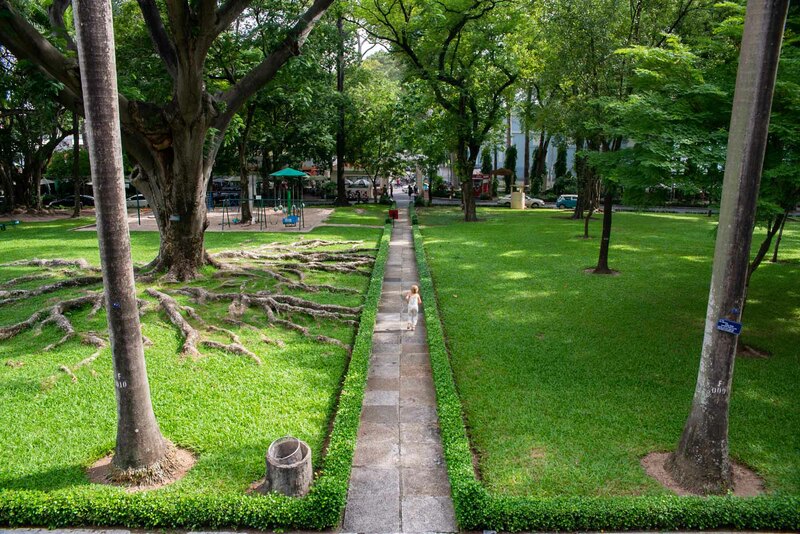 You can buy tickets at the main gate, located on the east side of the palace gardens. Ticket price is 40,000 VT dong which is roughly $2. Kids under 12 are free. Free guided tours are available in English, French, Japanese and Chinese. 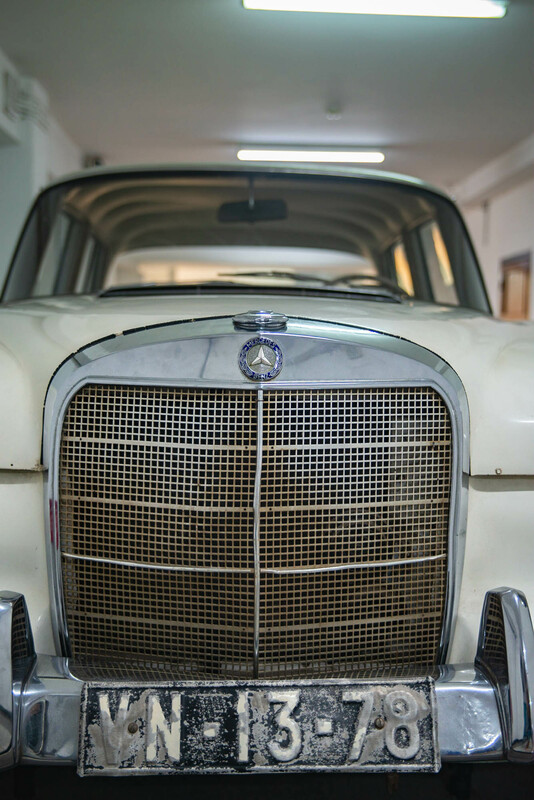 Saigon has another secret underground bunker in the 100-year-old Gia Long Palace, now known as the Ho Chi Minh City Museum.